Large-scale deployment of wind and solar capacity, combined with progressive closures of nuclear plants, is the best way to reduce the cost of electricity, according to a new report by the French Environment and Energy Management Agency (Ademe). The report compares seven scenarios for the evolution of France's electricity mix 2020-2060 from a purely economic standpoint. It concludes that the optimum is for renewables to supply around 85% of demand in 2050 and at least 95% in 2060. This compares to roughly 20% today. The report will feed into the debate now taking place on France's recently announced draft energy plan, or PPE. Importantly, Ademe takes a long-term perspective, looking forward to 2060. In the context of the PPE, "it is more important than ever to provide the state and all stakeholders with technical elements that will at least partially inform the choices to be made," said Arnaud Leroy, president of Ademe's administrative council. The progressive increase in the share of renewables to 95% in 2060 – based on adding around 2GW of wind a year – would allow the total cost of electricity, excluding taxes, to fall to roughly €90/MWh, compared to just under €100/MWh today. 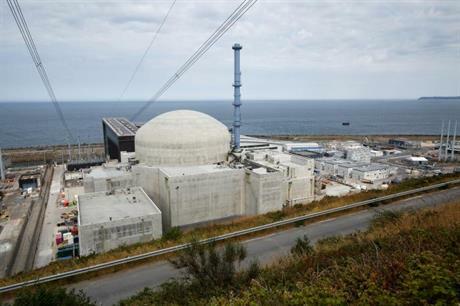 At the same time, building more next-generation nuclear power plants, such as the EPR under construction at Flamanville, would not be justified economically, Ademe found. Commissioning a single EPR in 2030 would require €4-6 billion of public support over the period, the agency estimated, while by 2060 the additional cost of building a series of reactors would amount to at least €39 billion, despite the economies of scale. That said, existing nuclear plants could play a role in enabling the energy transition, Ademe noted. It found that maintaining enough nuclear generation to meet the target of 50% of electricity between 2030 and 2035, as proposed in the draft energy plan, "allows an efficient transition from an economic and climate point of view." The optimum strategy would be to decommission 30% of reactors at 40 years of age, and 30% at 50 years. Most nuclear plants in France date from the 1980s. Keeping nuclear reactors online beyond 50 years coupled with increased renewables would lead to overcapacity and low market prices. It would "unbalance the profitability of all the means of production," Ademe said. On the other hand, in most of the trajectories studied, wind power would no longer need public support from around 2035. While the analysis did not take into account social, industrial and environmental aspects, most of the economically optimised scenarios will have a "very positive" impact on jobs and the local economy, Leroy noted.